Don't just take our word for it, see what our users are shouting about, how simple OPOC is to use compared to similar systems. As part of our continual improvement process, over the last six months we have been analysing how OPOC is performing for our users. The results are more than we ever expected. Factual statistics have proven OPOC is capable of saving huge amounts of valuable time and money, but it’s the general comments and positive feedback which really makes the hard work worthwhile. One of the most rewarding results has been the feedback from the users out in the field. Time and time again we hear that our OPOC app is by-far the easiest field data capture software to use and navigate. The OPOC support team are praised for their helpful, friendly attitude and their ability to fix issues quickly. If your business or job is to collect data from field teams or subcontractors, or if you need to follow projects step-by-step, OPOC can make the whole process very efficient. 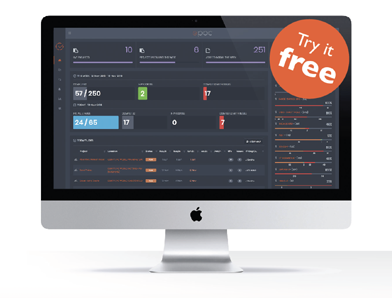 We are so confident in the ability of OPOC and its results, we offer free trials to anyone. We will even help you to set-up your first project and monitor the process with you throughout until completion.